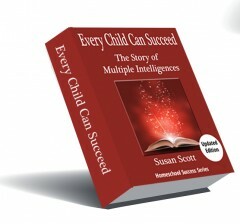 Homeschooling, work or business projects, chores, meal planning, household upkeep, church, community events, sports, holidays, hobbies, caring for friends and family, lesson planning, finding and remembering all those great school activity ideas you find online; how can you keep up with it all? The homeschooling lifestyle offers a tremendous amount of benefits for both enriching educational activities and great family times. The problem is there is too much! A quick glance through Pinterest will yield thousands of amazing, fun and educational ideas, hobby ideas, family events, classroom organizing and much more. “that’s exactly what I need… in 6 months when I’m planning for next year” How are you going to remember to look at that article again? How many times have you been sidetracked from your day by coming across a great idea on Pinterest or someone on a Facebook group mentions a website that has exactly the math helps you were looking for last week? You stop what you’re doing and take a look. Suddenly 45 minutes have gone by and it’s time to bring the kids to dance class. You never got around to doing what you originally got online to do. How can you keep track of those great finds and retrieve them later, when you really need them? Evernote! It’s not just for business and productivity. 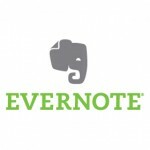 Evernote is a popular note taking, storage and retrieval system I have been using for years. It just happens to be perfect for homeschoolers as well as businesses, students, writers, researchers, or anyone who has a project to organize. Evernote is an easy to use, free application, that you can download onto your desktop and install in your phone or tablet. 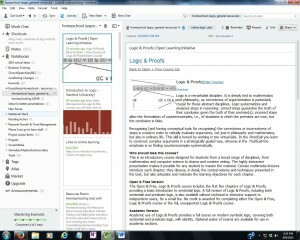 You can set up notebooks for every project and then add images, articles, webpages, links and your own written notes to any of your notebooks. On the left column is my stack of notebooks, plus options to add tags, or open the atlas which you can use to mark the location for your notes. You can create as many notebooks as you wish. I have them for business ideas, resources for learning things I want to get to someday, church projects, homeschool resources and ideas, decorating ideas for our new house, book and speech ideas, and general projects. Whenever I come across an idea I just write a note and save it to the appropriate notebook. If I find a website with exactly the right couch I want for our home, I’ll clip it and store it in the new house notebook. When I come across websites of homeschooling resources I want to check out in the future, I simply click on the web clipper in my browser tool bar and viola! Evernote adds a new note. I can then go in and add tags to my notes. Tags are the real powerhouse of Evernote. The search functionality is excellent. 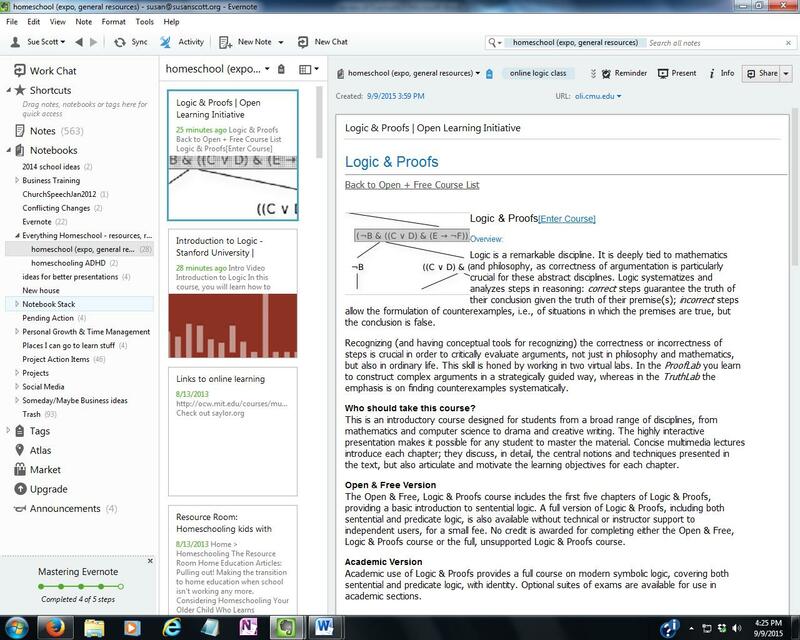 I can search for logic class, or online learning, or homeschool resource and Evernote will find my notes with links to online logic classes we might want to take. The Atlas feature is amazing. If you are planning a family vacation and wanted to scope out different places to visit, you could find the websites for various attractions, clip them into Evernote, then mark their locations using the Atlas feature. When it came time for your trip, you can pull up the map and see instantly where everything is in relation to where you want to go, and plan your travel to hit the places you want to visit. On a more practical level, you can use the atlas to plot out your weekly errands, capturing all the sales off your favorite stores website with the web clipper, make a note of what to pick up at each location, map them all, and see exactly what route to take through town to get everything you need without back-tracking or wasting time wandering all over. Another really nice feature of Evernote is there is a version for every smart phone or desktop. You can set up Evernote on your home computer and on your phone or tablet. Once you’ve plotted out your trip, you can open up Evernote on your phone and take your map with you. There is also a web clipper add-on for your browser. You can find it in your browser under tools, then look for plug-ins, or extensions. Once you add it, you’ll see a small grey Elephant logo on your toolbar When you find an article or website you want to save for later you just click on the Elephant logo Evernote will automatically copy the page complete with the website link into a notebook. The beauty of Evernote is you can store everything in one place, from multiple devices. No more digging through papers and piles of sticky notes. If you’re on the road and think of something you need to do, open Evernote on your phone and write a note, then tag it with @ToDo. When your back home you can search Evernote for the @ToDo tag and find all of your reminders. Did you discover the perfect storage system at the store? Take a picture of the item and price tag, add an atlas tag with the location and upload the image to Evernote. When you are planning your reorganization project, you can pull up those pictures and find all those great ideas to make your room exactly as you want it. My biggest challenge with Evernote is maintaining a consistent tagging system. Once your notebooks start to get full, things begin to look a little messy and using the search function is often the only way to uncover the information you are looking for. Using tags that make sense to me in the moment, often doesn’t translate to what I’m looking for later. I was looking for online writing programs to help my son with his creative writing assignments. I know I clipped a link to an online university writing class but when I searched for “writing course” I couldn’t find it anywhere. Eventually it turned up, but I had tagged it “online course” and left out any tags about “writing” I think the safer thing to do is to click on Tags on the left column and stick to using existing tags instead of constantly creating new ones. Fewer, more general topics is best. The basic Evernote account is free and includes everything I’ve talked about here. For the vast majority of users, the free account is more than sufficient. A free account allows for up to 60MB of uploads per month. I use it frequently and on average use less than 5% of my 60 MB. If you want to save large files like videos, just save the link to the website instead of uploading the whole video to Evernote and you won’t have any issues with going over the 60 MB limit. For $25 a year you can upgrade to a Plus Account and you will get offline access to your notes on your mobile device (free users have offline access on their desktop only), password locks on your mobile app, and you can save emails into your Evernote account. Saving emails into Evernote can be a valuable asset for anyone working on group projects. You can save all the email correspondence into the project notebook and keep up to date on the status of every task within the project. It’s a great feature for a business with multiple employees contributing to a project, but not something the average home or small business user will need. 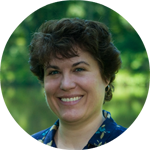 Sign up here for more tips on how I use Evernote to organize my life, then go to Evernote.com and download it for free. Disclosure – the links to Evernote are affiliate links. Although the product is free, and you will not be asked for any kind of payment information, I do get credits for each person who signs up, allowing me more storage space on my account. Susan, I LOVE Evernote and have used it for years. I don’t know how any homeschool mom keeps track of all the articles, online learning games and information she will need “someday” without it! Thanks for your useful review. The best part is, you can get started with Evernote for free and it’s available across multiple devices. It really is a cool tool.